Early morning showers couldn’t dampen the spirits of a resilient group of ladies as they made their way out to Westside Sporting Grounds on May 5, 2018. This wasn’t the first time Mother Nature had tried to steal the day away, but as always this group of ladies wouldn’t let a little bit of rain stop them. By the time the shoot started under the sprawling oak trees, the sun was starting to make its presence in the sky and pink and purple rays promised an “almost perfect’ day. Wearing rubber boots and rain jackets, the ladies came out early to mingle throughout the raffle tables, visit with old friends, share a cup of coffee, and meet new squad members. Mulligan tickets were purchased and raffle tickets were carefully placed in tumblers. Naturally, each lady wanted to win, but more importantly it was on their hearts to raise money to assist the recipients of Be An Angel, providing hearing devices, camp opportunities, and so much more. By the time the ladies-only squads took to the stands, rain jackets were shed and boots were traded in for more comfortable shoes. Just like in the years past, old friends reunited, while they mentored and welcomed new shooters to the group. Special colored targets added additional fun to the game! When these targets were hit, shooters won raffle tickets-at no cost to increase their odds of winning a coveted raffle item! After a morning of shooting, the women joined their guys for lunch, awards, and the announcement of raffle item winners. 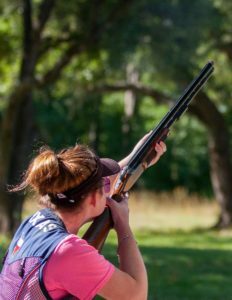 Katelin Holliday, a Junior Shooter, aims high to break the clay! The afternoon was equally fun and competitive. 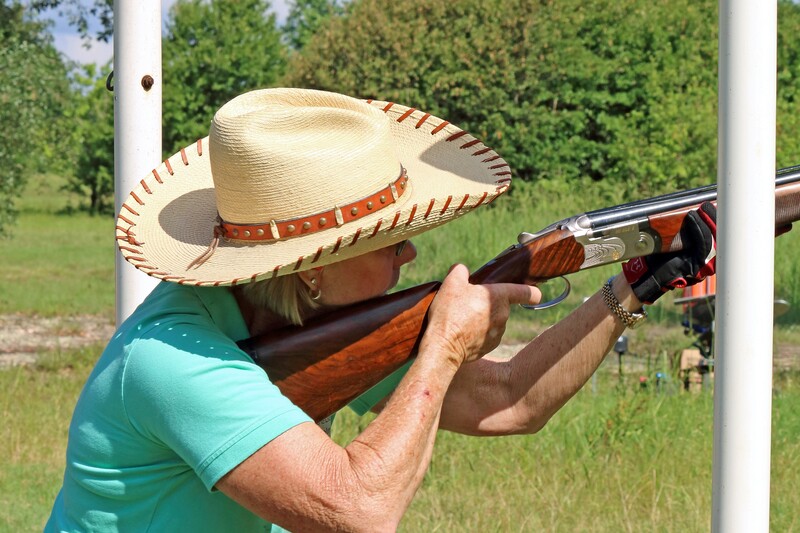 The ladies took the course again-this time with their male shooting partner. 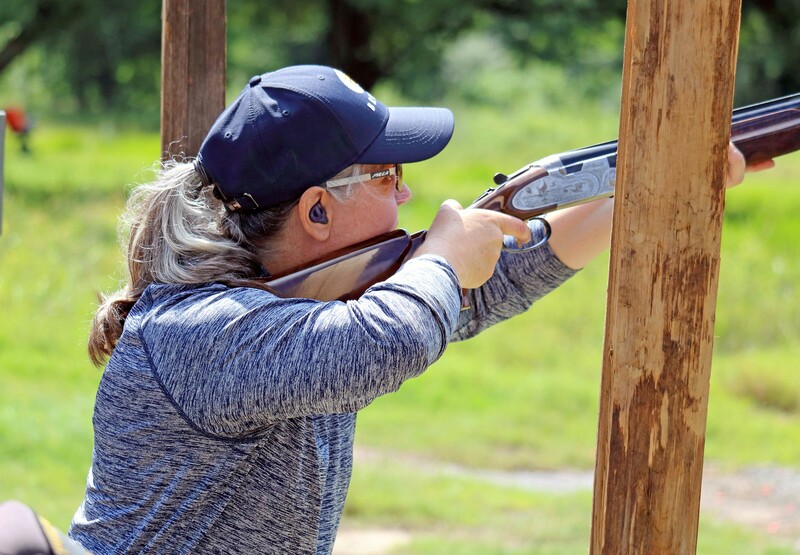 Couples enjoyed an unusually designed course where couples (loading one shell apiece) worked together to break true pairs of clays while competing against other couples. Shouts of triumph (and an occasional glare) filled the air as couples hit (and missed) their assigned target. Like earlier in the morning, Lewis Class awards were given out to the winning couples while they enjoyed more time to mingle, snack, and reflect on the day. 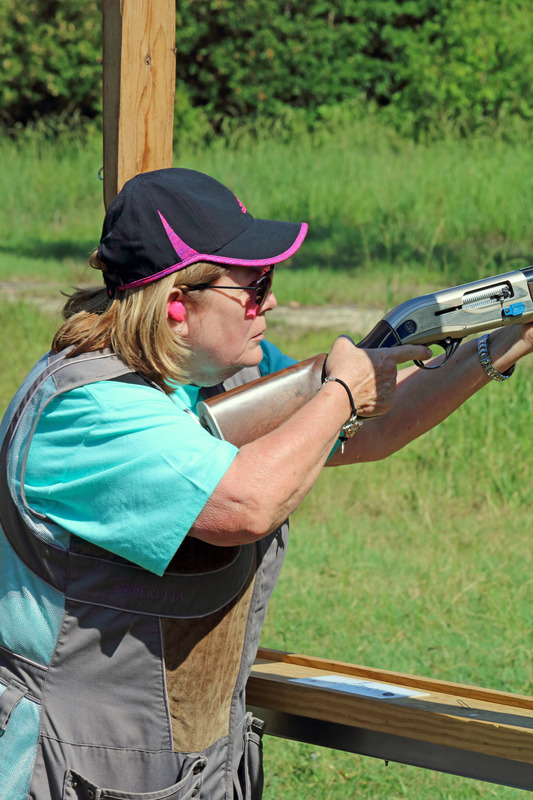 At the end of the day, everyone went home happy and satisfied-knowing they had a great day breaking clays, spending time with friends, meeting new ones, and best of all helping the recipients of Be An Angel. Rain or shine! Our boots are fine! Ever question where your money is going??? Look at what YOUR DONATIONS & REGISTRATION HELP DO!